Yibin Airport in southwest China's Sichun Province will be rebuilt 11 kilometers to the northwest of the city and renamed Wuliangye Airport. Wuliangye is a famous kind of alcohol in China. The new name underwent a heated discussed in Chinese cyberspace. Below are some opinions from netizens. @微博被屏蔽 : Such kind of phenomenon happens only in a society in which people bear a strong utilitarian consciousness. 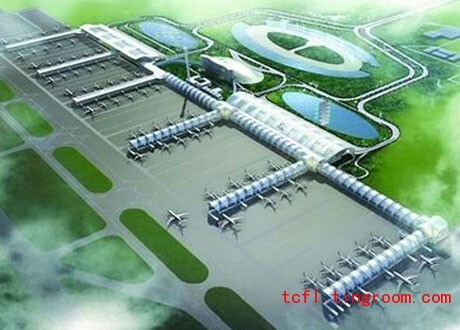 Wuliangye Airport gets laughed at by people from all over the world. @誌囯: Flights leaving from Wuliangye for Jiannanchun (a famous Chinese alcohol brand) are about to take off. Passengers who transfer to Maotai and Laojiao (also famous Chinese alcohol brands), please remain a little drunk. As for netizens' questions about whether airport authorities were paid to rename the facility after the famous alcohol brand, Yinbin has not issued any response.